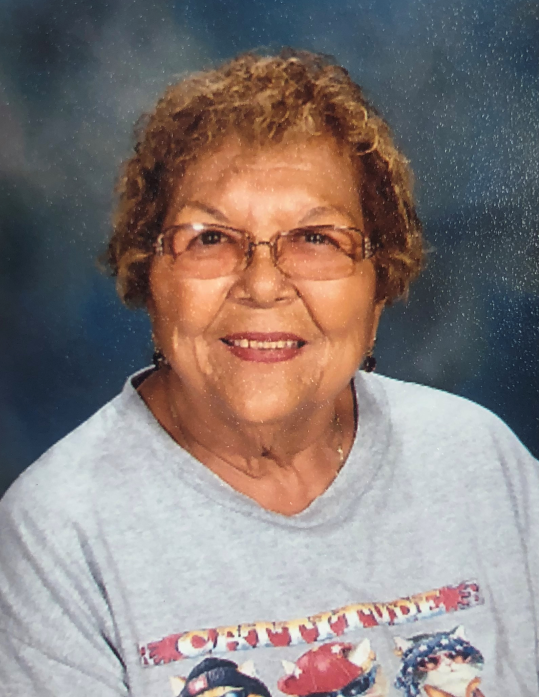 Esther “Chata” Jacquez, 81, of S. Walnut Street, Carlsbad, New Mexico, passed away August 24, 2018 at her home. Visitation will be 4:00 PM – 7:00 PM, Wednesday, August 29, 2018 at Denton-Wood Funeral Home. A rosary is scheduled for 9:30 AM, Thursday, August 30, 2018, followed by the Mass of Christian Burial at 10:00 AM, at San Jose Catholic Church with Fr. Martin Cordero officiating. Interment will follow at Carlsbad Cemetery, Carlsbad, NM. Services are under the direction of Denton-Wood Funeral Home. Esther “Chata” Jacquez was born May 22, 1937 to Felipe and Paula (Chavez) De La Rosa. She was an avid Elvis fan and had seen him in concert numerous times. Chata served as a grandmother at Head Start for a number of years. She also volunteered with senior respite. Chata was preceded in death by her parents; husband, Alfredo “Tana” Jacquez and 5 brothers and 7 sisters. Survivors are her nephew and primary caregiver, Ruben De La Rosa and wife, Victoria of Artesia, NM; her special companion, her cat, Lilly Belle and numerous nieces, nephews and extended family. Pallbearers will be her nephews: Steven Balencia, David De La Rosa, Johnny De La Rosa, Martin De La Rosa, Jr., Fabian Muñoz and Michael Muñoz.